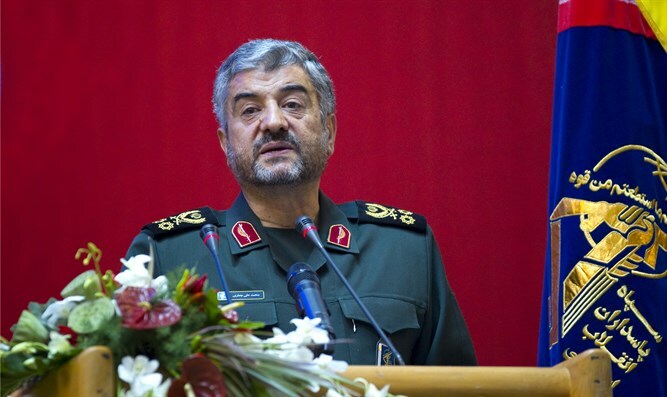 Head of Iran's Revolutionary Guards describes rival Saudi Arabia as a "terrorist state". The head of Iran's Revolutionary Guards on Tuesday described Saudi Arabia as a "terrorist state", AFP reported. Major General Mohammad Ali Jafari came in a speech in which he announced his stint as commander of the elite military force will be extended and continue until at least 2020. Jafari highlighted the threat from Saudi Arabia, which backs opposing sides to Iran in several regional conflicts. "Today, the Saudis are becoming a terrorist state in the region. Today in our region only the countries that are powerful enough will remain safe," he said, according to AFP. "We face an enemy that only understands the language of force, so we cannot speak to the enemy with another language," said Jafari who added that there was still room for negotiations. "Some try to say that we are against interaction with the world and seek war," he said. "I say with a loud voice that the Sepah (Revolutionary Guards) also seek peace, but peace can only be realized and last if the enemy is scared of starting a war with us and fears its consequences." Iran, which is predominantly Shiite Muslim, and Saudi Arabia, which is mostly Sunni, are rivals which compete for power and influence across the region. Iran recently blamed Saudi Arabia for attacks on the Iranian parliament and the shrine of the founder of the Islamic Republic, Ayatollah Ruhollah Khomeini, which were claimed by the Islamic State (ISIS). The tensions between the two countries also increased last month when U.S. President Donald Trump visited Saudi Arabia and blasted Iran, accusing it of supporting terrorism in a speech. Iranian President Hassan Rouhani responded by ridiculing decades of U.S. strategy in the Middle East. Jafari, 59, rose through the ranks during the Iran-Iraq war in the 1980s. Supreme leader Ayatollah Ali Khamenei chose him to lead the Guards in September 2007. The United States has strict sanctions on the Revolutionary Guards, accusing them of terrorist activity and destabilizing the region.